It was hard to cope with what my life had become. I could not fathom how my illness had affected my daughters. I was so wrapped up in my own pain, my own hurt, and trying to survive that I didn’t pay enough attention to how this was affecting my young daughters and their lives. I had missed major events in their lives. I missed a college graduation ceremony, I missed shopping for a bridal gown, I missed being in the delivery room when my grandbabies were born. As I wrapped up the writing of Allergic to Life, I asked them if they would be willing to write something on how my illness and absence affected them. Before I share some excerpts, I want to say that I have healed enough to be able to do things I never dreamed of being able to do back when I wrote in my journal. While my life isn’t perfect and I still have many limitations, I have come to embrace my life as it is now. After all, I am alive and isn’t that what is really important? From Sarah—My mom is my best friend and I almost lost her…By the time I realized how sick my mom was, she was being shipped off to an environmental clinic in Dallas, Texas, and I was living on my own working full time and going to school part time. I thought I would be okay while she was gone, but I was wrong. The center of our family had left and we didn’t know when or if she was coming back…When mom finally came home, she was a different mom than the one I had always known…She was cautious and reactive and tired. From Laura—Before her illness, my mom’s creativity and resourcefulness made her a community leader, a good friend, and a great mother. From fixing a recipe or an unsuccessful science fair project to comforting my sister and me in times of teenage crisis, she was a master of making the most of difficult situations. She could simultaneously talk on the phone, make dinner, and solve a dispute between her daughters without batting an eye. When this illness came into our lives, I watched as it tried to destroy the very things I loved most about her…she became less patient, more forgetful, and unable to put together a simple recipe. These pieces that my daughters wrote still bring tears to my eyes when I read them. I am so grateful that I have them in my life and that they have adapted to all my quirky and different ways of living with courage and grace. A great post Suzy, thanks;-) Kathryn - what a proud Mum and wife you must be to have such love and support. 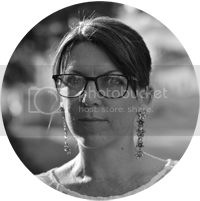 Thank you Suzy for hosting me on my RRBC "Spotlight" Author blog tour. I am having a wonderful time! John, I am very proud of all the love and support I get from my family. Thank you, Suzy, for hosting Kathryn. Her story is one of courage and determination in the face of great odds. I can testify to Kathy's struggles. I met her and became friends with her at Dr. Rea's clinic in Dallas. 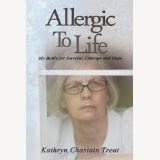 Her book shines a light on the lives of people with chemical sensitivity. Congratulations, Kathy! Hello Jennie. Thank you for following my RRBC "Spotlight" Author blog tour. I am so thankful for our meeting and your friendship and support. I am so appreciative of fellow club members like Suzy who are providing this wonderful way of getting my message across. Suzy, your blog is beautiful. I am happy to be a part of it. Thanks for hosting! Kathryn's story is truly inspiring! Thank you Bruce for stopping by and following my Spotlight Author Blog Tour.